You will be wowed by this FIVE bedroom 2.5 bath home w/ huge rocking chair front porch, flexible floorplan, two car garage & special features everywhere. The large kitchen w/ breakfast room features granite counters, stainless appliances, & separate pantry. 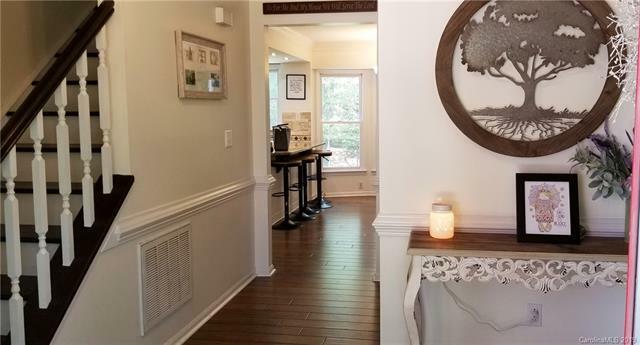 The adjoining family room w/ fireplace (owners are currently using as their dining room) opens to a huge screened-in porch which then exits to a sprawling outdoor deck. Great for entertaining and extra living space! The dining room is currently set-up as a study w/ recently installed built-ins. Additionally there is a formal living room and oversized foyer. You'll find beautiful hardwoods throughout the entire home including those installed in 2016 on the stairs and second floor. Five bedrooms and two full baths on the 2nd floor allow room for even the largest of families. New HVAC installed in 2018! Interior painted in 2018. Landscape recently freshened and mulched. Ready to move in and love as much as this family has.